On the 18th October Rafat Mansour, a Palestinian worker who was coming home from the metal factory in Biddya, was searched at the entrance of Deir Istiya by the Israeli occupation army. They found a metal brace for tyre changing and accused him of wanting to attack settlers with it. They also took his ID card. They then threatened to arrest him, but fortunately the mayor of Deir Istiya was informed and was able to prevent the arrest. The road closure started in the evening. 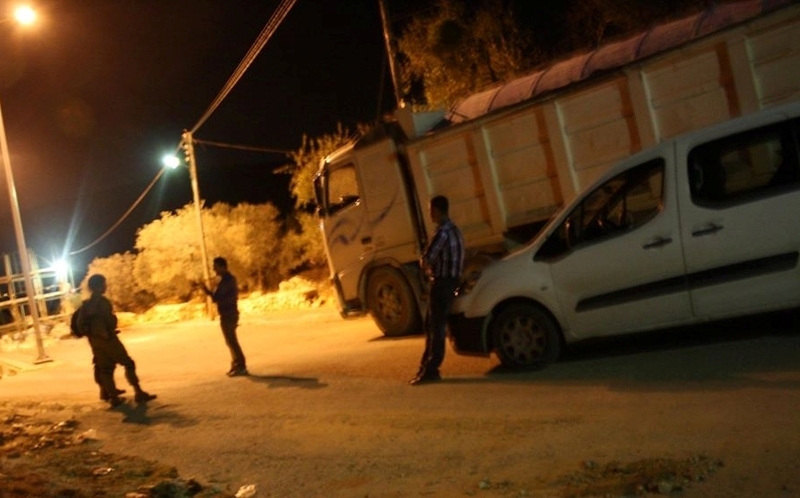 No Palestinians could not enter and exit the village. On the same day, three houses were searched and IDs were demanded of the villagers. Tear gas and sounds bombs were used to frighten the villagers. This is an ongoing action. When the mayor asked the army for the reason that the checkpoints were being enforced the answer was, “We can’t tell you.” He informed the DCL, who never rang back, and he now assumes that it was an army training exercise for soldiers based in the camp next to Yaqir illegal settlement which was established 10 years ago.